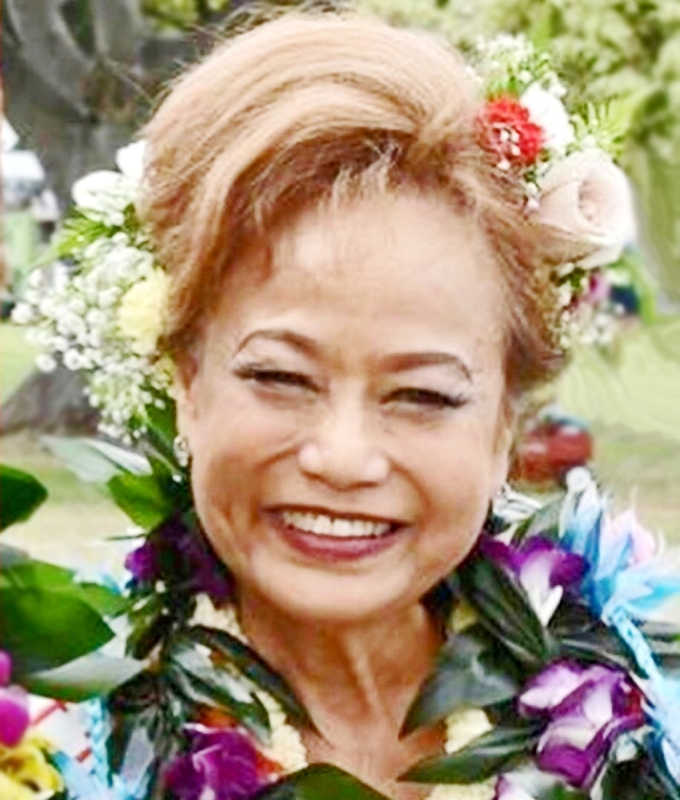 , 76 Dr. Helen Mealoha Yuk Jun Kuoha-Torco, 76, died peacefully in her sleep in her Kailua home on August 10, 2018. Just months after being diagnosed with stage 4 cancer that inhabited her beautiful body. Helen was born to Rose Asum Lum and Samuel Kuoha, Jr. on January 22, 1942 on the island of O'ahu. Helen was an amazing wife, mother, grandmother, sister, daughter, aunt, friend, educator, Kumu Hula, and mentor. Her achievements are many and if she were still here she would continue to amaze us all! Just to name a few, my best friend, beloved wife and mother was a graduate of Farrington class of 1960, Doctorate of Business from Nova University of Florida class of 1980, Bachelors/Masters degree from the University of Hawaii, Kumu Hula, The Original Tahitian Dancer, for Hawaii Five-O, Retired Educator with University of Hawaii at Windward Community College, Director and Trainer with Mary Kay Cosmetics, DOE Substitute Teacher primarily at Farrington High School and an Actress. Also, 2018 First Lei Princess. Helen is survived by her husband, Alfredo Torco. Children, Gene (Jonal), Chad, Kala (Angie), Jodi (Jim Dolan), Reny (Michelle) and Reed (Tasha) Hew-Len. Step-sons Ty (Bonnie), Terence and Travis (Jodi) Torco. Siblings Alama, Kaleo, Kehau, Nani and Haunani. Helen is also survived by 32 grandchildren. Ashlie, Jayson, Shayne. Kaleo. Aubrey, Tyler, Taylor, Nataliah, Hailey, Collin, Kama'alahi. Kylie, Chayse, Jayke, Jaydie, John, Jill & Jack. Cole, Allyena, Braxton, Cadence, Dakodah, Eve'lynne, Ka'aulani, Kua'uli, Kapili'oha. Ka'ai, Ka'aha. Parker, Noah, Kai. And a great-grandson, Jesse. Preceded by both parents and step-father, Britton Takamori. Mother-in-law, Narcisa "Nattie" Lum. Sister, Cherlyn Logan. Step-son, Troy Torco. *Funeral and Flower Service provided by Borthwick Mortuary: Friday, September 14, 2018: 9:00am Visitation; 11:30am Funeral Service; 12:30pm Aloha 'Oe and Light lunch. The Church of Jesus Christ of Latter-Day Saints, Kaneohe Stake Center, 46-117 Halaulani Street, Kaneohe, HI 96744. Monday, September 17, 2018: 10:00am Burial Blessing; Hawaii State Veterans Cemetery located on Hawaiian Memorial Cemetery grounds in Kaneohe.